New builds of Anthem and Forza Horizon 4 to be shown. Our friends at GamesRadar are teaming up with phone manufacturer Honor to bring a new livestream show to GamesCom. 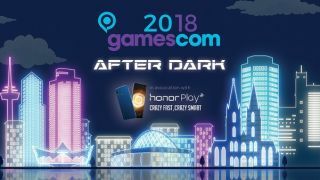 Titled GamesCom After Dark, the show will be streamed directly from GamesCom, and will feature a mixture of live game demos, interviews and developer roundtables. The games shown during the livestream will include BioWare’s Anthem, Forza Horizon 4, and Starlink: Battle for Altis, all of which will be demonstrating their latest builds on After Dark. “GamesCom is one of the most exciting events in the gaming calendar, so it's a brilliant opportunity to highlight all the awesome experiences that are headed our way in 2018 and beyond,” said GamesRadar’s Executive editor Andy Hartup. “We'll be taking players as close as they can get to this year's hottest games. Unless they're actually at GamesCom, in which case, good on them." The show will be broadcast on both GamesRadar and Twitch on Wednesday 22nd and Thursday 23rd of August. The stream will commence at 6 pm BST, 7 pm CEST, 1 pm EST, and 10 am PT). Highlights of the show will be posted on Facebook and other social media after the event.